Magan Sangrahalaya Samiti (MSS) is a non-government, social-service organization that started its work in 2003 and is committed to the empowerment of women in rural communities in Seloo Block, Wardha district, Maharashtra. Over the years MSS has supported several women’s self-help groups and helped in starting up various eco-friendly micro enterprises run by women in their own villages. Some of these enterprises like handmade soaps, candles, herbal products, fruit jam-making, gur (jaggery-organic brown sugar) production, bakery, and an organic cafeteria, etc. have become very successful and led to few more subsidiary units and boosted the employment opportunities in the villages considerably. Focus Area(s): Women Empowerment,Health and Eco-friendly Development . The villages in Seloo Block were once famous for their banana and orange orchards. However, due to changes in climatic conditions, the fruit production started dwindling and poor villagers who were working on these horticulture farms started losing their source of livelihood. At that time Magan Sagrahalaya Samiti formed 1000 self-help groups in 100 villages and helped poor women in starting up eco-friendly micro-enterprises in their villages. Due to lack of proper infrastructure facilities like bad roads, irregular electricity, dearth of water, and disagreeable conditions with the landlords in renting their spaces for setting up production units, led to a drain on the Samiti’s resources and spirits. In 2007 IDRF joined hands with Magan Sangrahalaya to purchase a spacious building along with a small well, adjacent to the main road. IDRF grant enabled the Samiti to carry out extensive repairs, extensions and installations in the building and house seven enterprises. These eco-friendly enterprises like solar processed food products, small utility items, spices, pickles, papad, waste paper products and school bags manufacturing provided direct employment to 30 rural women. Next came the establishment of a rural bakery, gur production and few more subsidiary units that provided livelihood to women, youth and poor farmers in the areas. 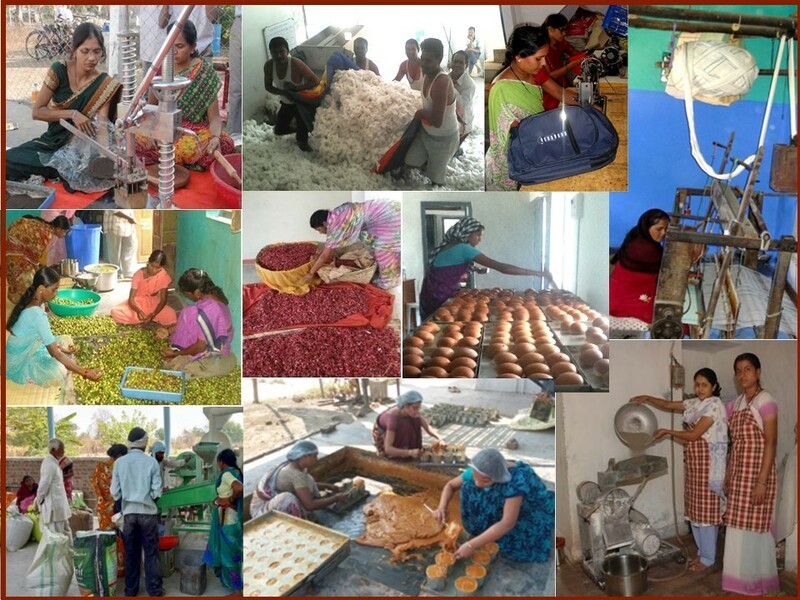 At present these rural enterprises are providing sustainable livelihood to around 500 poor rural women and reaching out to thousands of women of 100 villages of Seloo block. IDRF has also funded a mini truck that facilitates transportation of women workers, raw material, machinery and finished products to remote villages. When MSS started the movement of Natural/Organic Farming, by mobilizing thousands of farmers to shift from chemical to natural farming techniques, IDRF funded the construction of a building and setting up the first Natural Farming Center in Wardha. This Center for Organic Farmers runs a training center, farm produce processing unit, workshop to repair and manufacture improved farm tools, an indigenous seed bank and organic cafeteria. In a time span of ten years, more than 10,000 farmers have been trained in organic farming technology at this center. As the demand for training in organic farming grew, the center started attracting farmers from other states as well and the lack of space at the center could not accommodate the growing number of farmers interested in getting trained. Once again IDRF stepped in and funded the construction of the first Organic Farmers School in this region in the year 2016. The Farmers School is a “green building” constructed by local artisans using mud and terracotta and powered by solar energy. 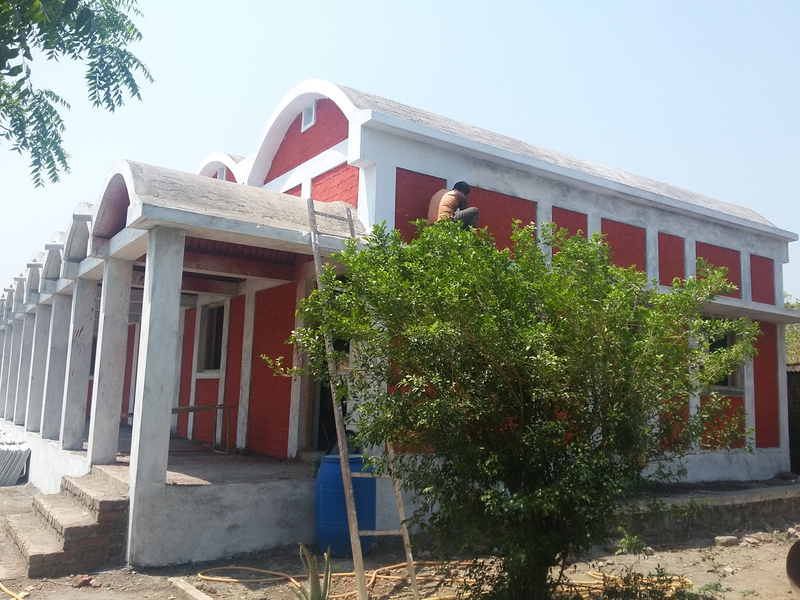 While the construction of the building was still underway, the Government of India chose this center as the Nodal Training Center for Natural Farming. With IDRF’s support, what started as an experiment has turned into organized structures where local people, especially rural women are designing, planning and executing their dreams for a better world! Please click on the link to learn more about the various eco-friendly programs run by Magan Sangrahalaya Samiti.